Corruption and controversies have eroded the brand value one of India's fastest growing global brands, the Indian Premier League (IPL). Its value has dropped by a whopping $460 million. The IPL's value stands at $3.67 billion, down from $4.13 billion a year ago. The brand value was pegged at $2 billion in 2009. "The IPL juggernaut has hit a speed breaker. As costs like players' wages rise, the early commercial success of IPL will be tested. The honeymoon is truly over," M Unni Krishnan, managing director, Brand Finance India. Tarnished by the corruption charges, IPL faces a huge challenge to regain its value. "The team owners can reform the system inside out or face a meltdown in the not so distant future," Brand Finance points out. Last year, Lalit Modi, the chief of the IPL extravaganza had to quit on allegations of IPL money laundering. The opposition Bharitya Janata Party called the IPL, the Corruption Premier League. "IPL now represents the dark microcosm of an epidemic of corruption and short-term frenzy to make a fast buck which has swept India like an avalanche over the last year," states the Brand Finance study. Mumbai Indians, Chennai Super Kings and Royal Challengers have worked out the secret sauce of sporting success. Kolkata Knight Riders, Delhi Daredevils and Deccan Chargers are in a state of flux and seem to have lost their balance is key areas of cricketing excellence aka the product. Rajasthan Royals and Kings XI have their work cut out in getting house in order. Consistency and coherence across various dimensions of cricketing and marketing excellence along with governance holds the key, says the study. 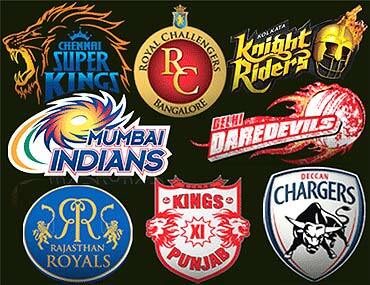 Click NEXT to find out the brand value of the 8 IPL teams . . . Image: The IPL team logos. Mumbai Indians owned by Mukesh Ambani's Reliance Industries, is led by Sachin Tendulkar. 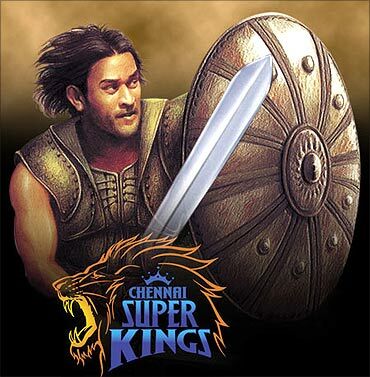 The Chennai Super Kings is owned by India Cements. Mahendra Singh Dhoni is the captain of the team. The Vijay Mallya-owned Royal Challengers is led is by Daniel Vettori. 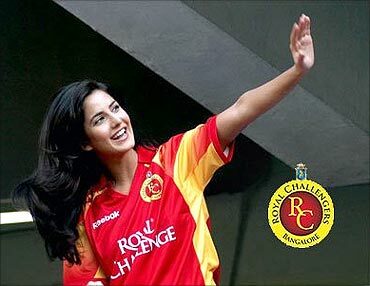 Image: Katrina Kaif supports Royal Challengers. 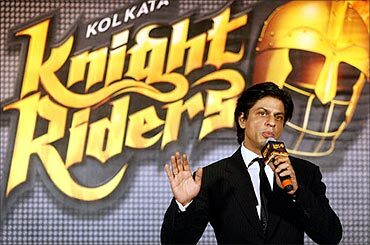 The team is owned by Shah Rukh Khan, Juhi Chawla and her husband Jay Mehta and led by Gautam Gambhir. The team owned by GMR Holdings is led by Virender Sehwag. Deccan Chargers is owned by media group, Deccan Chronicle. Sri Lankan captain Kumar Sangakkara will lead the team. Preity Zinta, Ness Wadia along with with Karan Paul and Mohit Burman own the team. Adam Gilchrist will lead the team. Image: Kings XI Punjab members. 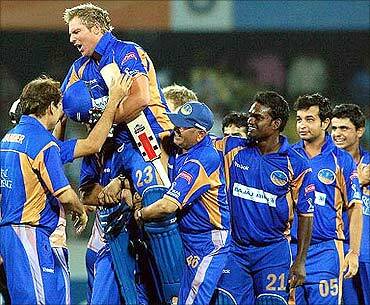 The Rajasthan Royals franchise is owned by Emerging Media Group and is led by captain Shane Warne. India world's 4th most holiday-deprived nation!